Shifting to A Managed WordPress Hosting is certainly the best thing you can do with your blog. When we say managed hosting, We mean Managed WordPress hosting. 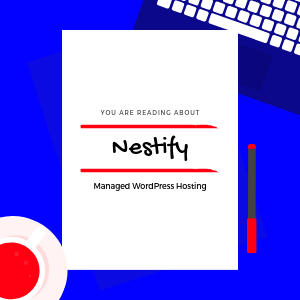 What is Nestify Managed WordPress Hosting? Managed WordPress hosting is one of the recently evolved web hosting where you don’t have to worry about anything at your host and WordPress core level. A true managed hosting provider takes care of your blog’s security, backups, speed, Updates, efficiency and Provides complete dedicated support round the clock. You can focus on your work more than focusing on the host. Also note that unlike shared hosting services, your blog is given a complete dedicated server and isolated environment. You can create a staging (clone) site of your blog to test new themes, plugins and setups before deploying it online to the real world. If you want an easy-to-use, fully optimized environment with the easy one-click installation you can make good use of the managed WordPress hosting platform. Nestify is Known for its Speed and Mind-blowing User experience. They have an exclusive range of Speed enhancing tools which is better than websites having CDN. With every hosting plan, you get free access to nestify CDN which updated regularly to protect your Blog or website from DDoS Attacks. Nestify stands among the reputed names you can easily trust upon. They have an exclusive range of services with a price to dig for. Use it to believe it. Q. Where are the Data centers? You get Managed WordPress Hosting in USA but also in Asia, Singapore, UK, India, UAE and etc. 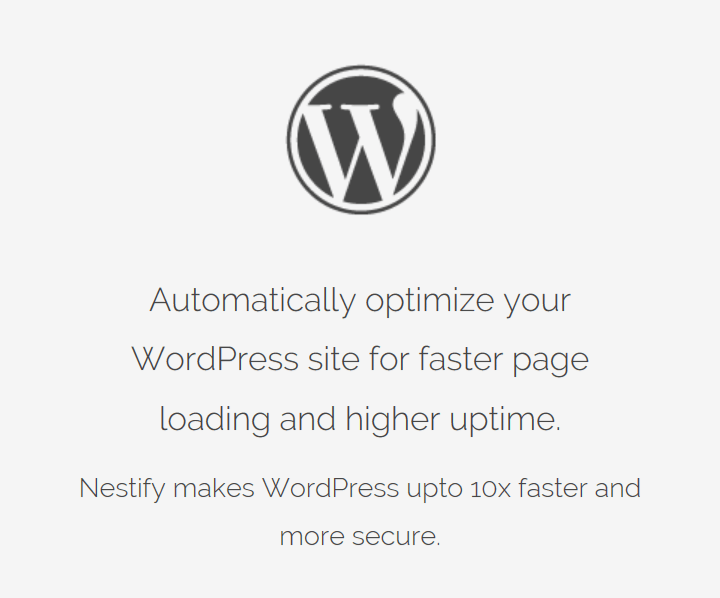 Nestify is the global Managed WordPress Hosting service provider. They Don’t Block or Disallow Any Plugins And Themes for any CMS(Content management system) like WordPress & Joomla. This is one of their major advantages of Nestify over the competitions like WpEngine who had allegedly blocked the popular useful plugin “Broken link checker”. Thier experts safely migrate your site from existing provider to Nestify with zero downtime. Nestify creates automatic backups of your site and store them in 3 locations. Restores are 1 click operation. They scan your site daily for insecure plugins, vulnerabilities and protect it from hackers. Note- If you want to make things happen but missed or got error in coding, Nestify will come in and will work to make that happen! The basic plans start from $7.99 a month. For a managed WordPress hosting, this is the lowest price you will ever see. This plans includes all the features as discussed above, except staging sites. They offer a 7 Day No-Credit-Card Required trial period for new users. This trial can be availed here and requires no T&C. You can pay via credit card once trial period ends. Alternatively, you can also request to pay via PayPal.You can select the plan you want to start a trial with And this plan will continue to work after the trial ends. They also have VPS based hosting servers which are ideal for E-commerce as well as high traffic websites. VPS plans start from $49.99. Nestify Managed VPS Hosting Gives you full access to the servers plus An additional management help to ensure you focus more on your business than the host.Nestify has fixed price for all cycles and periods. You don’t have to pay sudden high prices on renewals. Pay as you go. No overage charges, No hidden costs. Believe it or not, it’s true. Nestify won’t charge you for any extra bandwidth or hike in your traffic, nor will it shut down your website. *Overage charges are those additional charges which you pay for using extra resources or exceeding the limit provided. This is Added to your monthly bills. They will reach to you and discuss the future of your website. Nestify will make necessary changes to your plans and services to help you out. This will hep them to curate a better hosting experience for you. In case you don’t know, WPEngine, Nestify and Kinsta are three big names when it comes to Managed Hosting Providers, Nestify Stands apart form them for one superior reason. WPEngine is known to have charged its users an extremely high “Overage” Charge which even included the bot traffic that left unfiltered through the CDN. These charges were as high as $280/Month which were automatically billed and deducted. They provide instant response with no stupid reasoning. They are eager to help and Although i was not a paid customer, i received an answer to my ticket within 8 minutes of submission.You can Also reach to them via live chat to get the resolutions instantly. 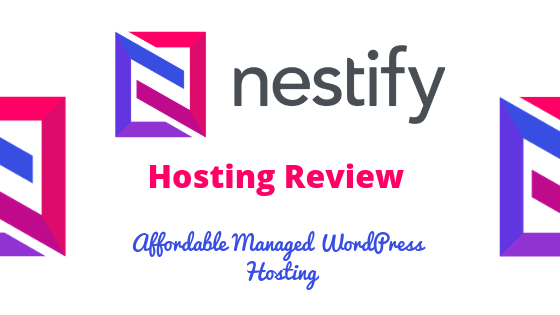 Nestify is highly recommended for those are fed up of their host’s lame support. Nestify is an ideal option for anyone looking for a highly scalable, cost effective, easy to handle and supportive web host. They Have made managed hosting possible at an extremely affordable price which is lesser than some of the shared hosting providers. We will look forward to move to Nestify in future as they have given us an appointment. I have tested our blog on their servers and we found that our speed increased by 27% on an average. This is also a passive SEO Factor to Consider. Be Sure to Take the full Advantage of the 7-day free trial to judge whether you get the value of your money. Nestify has the prices which are literally unbelievable. We highly recommend Nestify and we also look forward into joining them in future. They are certainly one of the best Managed hosts we have came through and they have surpassed our satisfaction with knownhost who are comparatively cheaper for the first bill but charge very high rates (2X rates) at renewals. Do you use Nestify? Tell us about your experience in the comments section below. Each Plan Packs Full Features like CNDs etc.